You don’t really have much choice deciding whether or not to insure your heavy goods vehicle – the law requires you to have a minimum level of cover before it may be driven on the public highway. comprehensive cover – is the insurance you are most likely to choose for a vehicle that is in daily use as a critical asset to your business. It protects you not only against third party claims but also accidental damage – often offering optional extras that extend your cover still further. toxic or hazardous cargo-carriers, for example, require quite different considerations to refrigerated trucks or those transporting perishable goods. Different considerations may also apply choosing your HGV insurance for vehicles that are used entirely on domestic routes and those that may be used in Europe or further afield. the nature of your business, therefore, may be an important consideration when arranging your insurance. 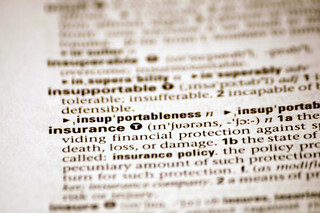 you may read more about insurance for goods in transit on the government website. if you have more than one vehicle, you might want to consider fleet insurance rather than arranging cover for each one separately – not only is this likely to result in discounted premiums but may also assist in your management of vehicle insurances. With management of your company’s cash flow in mind, you may want to give particular consideration to those insurance providers offering flexible payment options. In summary, insurance for your heavy goods vehicle or vehicles, therefore, may involve considerably more than first appeared. Exercising good judgment on such aspects may help you secure the cover you need at a competitive price. If you want to pursue particular questions or queries about your cover, you may wish to consult a specialist provider of insurance for HGVs. Eddie Johnson is an insurance industry veteran and HGV insurance expert who founded Isis Insurance - specialist commercial insurance brokers who are based in Cheshire. Follow Eddie on Facebook or Twitter.